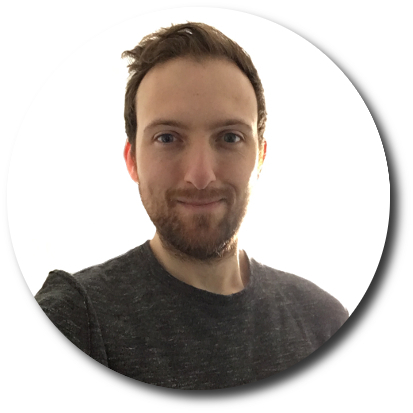 Dr Rob Lyon – Machine learning, data science, and astronomy. Machine learning, data science, and astronomy. Hi, I’m Rob. I’m a post-doctoral researcher at the University of Manchester. I devise intelligent algorithms which help astronomers make interesting and important new discoveries. My work is highly interdisciplinary. It combines software engineering, data science, machine learning, and radio astronomy. So far I’ve helped colleagues discover more than 20 new pulsars (a 1% increase in the known pulsar population). This figure is expected to rise in the coming years. 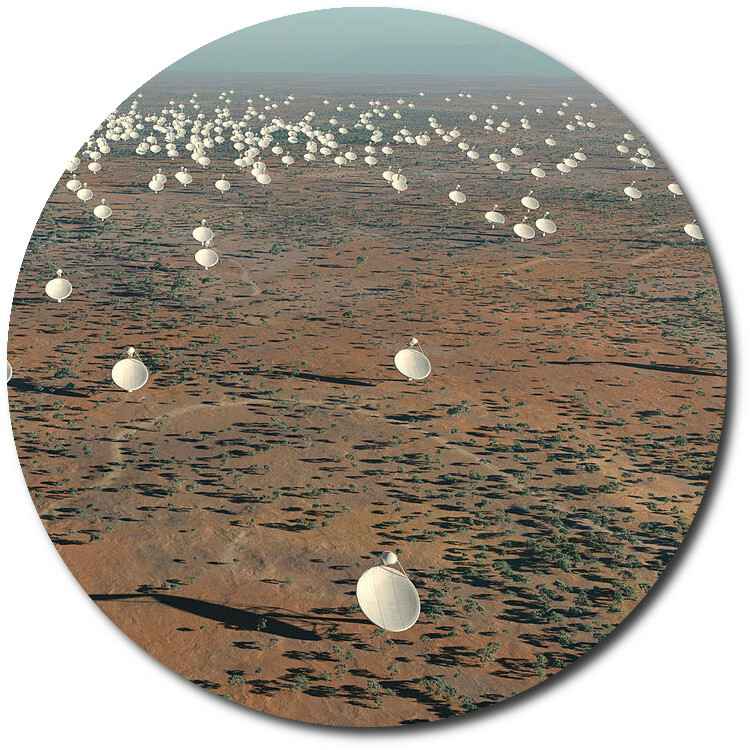 Since 2015 I’ve been helping design the world’s largest radio telescope, the Square Kilometre Array (SKA). I’m part of both the Central Signal Processor (CSP) and Science Data Processor (SDP) design consortia. I’m also a principal investigator on a STFC funded project, focused on utilising machine learning to improve radiotherapy treatment. Right now I’m co-spervising two PhD students with Prof. Ben Stappers, so I’m unable to take on any more students. I have a B.Sc. in Software Engineering (First-class honours), and an M.Sc. in Advanced Computer Science (Distinction), both obtained at the University of Liverpool. I also have a Ph.D. in Machine Learning, obtained at the University of Manchester. In the past I’ve worked as a performance and scalability software engineer, and I’ve also volunteered as a STEM science ambassador. I’m a proud Liverpuddlian (from a town called Kirkby), a total science nerd, and a big sports fan. 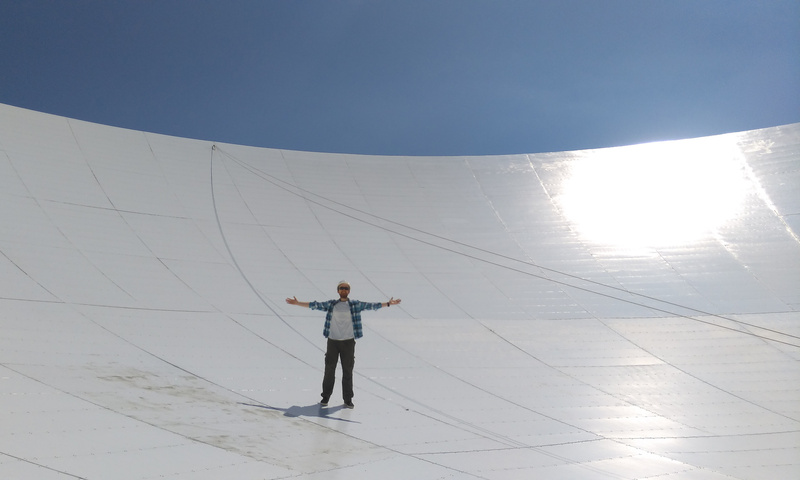 I’m a research associate at the Jodrell Bank Centre for Astrophysics (SKA group), which is part of the University of Manchester. I develop machine learning algorithms and software tools capable of processing the vast quantities of data produced by the Square Kilometre Array (SKA, more info here). This is a new radio telescope under development by an international team of scientists and engineers. When constructed the SKA will be the worlds largest radio telescope, and most sophisticated scientific instrument ever constructed. A general version of my CV can be viewed here. R. J. Lyon, B. W. Stappers, L. Levin, M. B. Mickaliger, A. Scaife, “A Big Data Pipeline for High Volume Scientific Data Streams”, submitted, 2018. R. J. Lyon, “Imbalanced Learning In Astronomy”, European Week of Astronomy and Space Science (EWASS), April 4-6, 2018. C. M. Tan, R. J. Lyon, B. W. Stappers, S. Cooper, J. W. T. Hessels, V. I. Kondratiev, D. Michilli, S. Sanidas, “Ensemble candidate classification for the LOTAAS pulsar survey”, Monthly Notices of the Royal Astronomical Society (MNRAS), Volume 474 (4): 4571–4583, 2017. MNRAS, DOI:10.1093/mnras/stx3047. L. Levin, W. Armour, C. Baffa, E. Barr, S. Cooper, R. Eatough, A. Ensor, E. Giani, A. Karastergiou, R. Karuppusamy, M. Keith, M. Kramer, R. Lyon, M. Mackintosh, M. Mickaliger, R van Nieuwpoort, M. Pearson, T. Prabu, J. Roy, O. Sinnen, L. Spitler, H. Spreeuw, B. W. Stappers, W. van Straten, C. Williams, H. Wang, K. Wiesner, “Pulsar Searches with the SKA”, International Astronomical Union Symposium (IAU) 337, Manchester, 4-8th September, 2017, Arxiv Pre-print. R. J. Lyon, “50 Years of Candidate Pulsar Selection – What next?”, International Astronomical Union Symposium (IAU) 337, Manchester, 4-8th September, 2017, Arxiv Pre-print. Note that the supporting material can be found here, and the talk slides are here. The supporting material also has a unique identifier, see DOI: 10.5281/zenodo.883844. R. J. Lyon, B. W. Stappers, S. Cooper, J. M. Brooke, J. D. Knowles, “Fifty Years of Pulsar Candidate Selection: From simple filters to a new principled real-time classification approach”, Monthly Notices of the Royal Astronomical Society (MNRAS), 459 (1): 1104-1123, 2016. Arxiv Pre-print, MNRAS, DOI:10.1093/mnras/stw656. R. J. Lyon, “Why Are Pulsars Hard To Find?”, PhD Thesis, School Of Computer Science, University of Manchester, 2016. Download. R. J. Lyon, J. M. Brooke, J. D. Knowles, B. W. Stappers, “Hellinger Distance Trees for Imbalanced Streams”, in 22nd International Conference on Pattern Recognition, pp.1969-1974, 2014. Arxiv Pre-print, DOI: 10.1109/ICPR.2014.344. R. J. Lyon, J. M. Brooke, J. D. Knowles, B. W. Stappers, “A Study on Classification in Imbalanced and Partially-Labelled Data Streams”, in Simple and Effective Machine Learning for Big Data, Special Session, IEEE International Conference on Systems, Man, and Cybernetics (SMC), 2013. Arxiv Pre-print, DOI: 10.1109/SMC.2013.260. Co-supervisor of two PhD students working in machine learning and astronomy. Reviewer for the Genetic and Evolutionary Computation Conference (GECCO), 2015-2018, Evolutionary Machine Learning track. Regular reviewer for the Monthly Notices of the Royal Astronomical Society. Supporting Material: Fifty Years of Candidate Pulsar Selection – What next? A Jupyter notebook exploring the issues that reduce the accuracy of Machine Learning classifiers. It was written to support a talk delivered at IAU Symposium No. 337, Pulsar Astrophysics: The Next Fifty Years (2017). A Jupyter notebook which explores the “Imbalanced” learning problem. It was written to support a talk delivered at EWASS 2018. The International Astronomical Union (IAU) Office of Astronomy for Development (OAD) Data Science Toolkit, aims to provide a “common language” between the data science and astronomy communities. I’ve contributed four tutorials to this effort. These can either be found via my “fork” of the toolkit’s GitHub repository , or the project’s Github repository which can be found here. You may find the Pulsar Survey database useful for your research. It lists every major pulsar survey conducted during the past fifty years, along with their respective technical specifications. If you use this resource, please cite via the DOI : 10.6084/m9.figshare.3114130.v1 . HTRU2 is a data set which describes a sample of pulsar candidates collected during the High Time Resolution Universe Survey (South). The data set contains 16,259 spurious examples caused by RFI/noise, and 1,639 real pulsar examples. These examples have all been checked by human annotators. Each candidate is described by 8 continuous variables. The first four are simple statistics obtained from the integrated pulse profile (folded profile). This is an array of continuous variables that describe a longitude-resolved version of the signal that has been averaged in both time and frequency (see  for more details). The remaining four variables are similarly obtained from the DM-SNR curve (again see  for more details). If you use this resource, please cite via the DOI : 10.6084/m9.figshare.3080389.v1 . 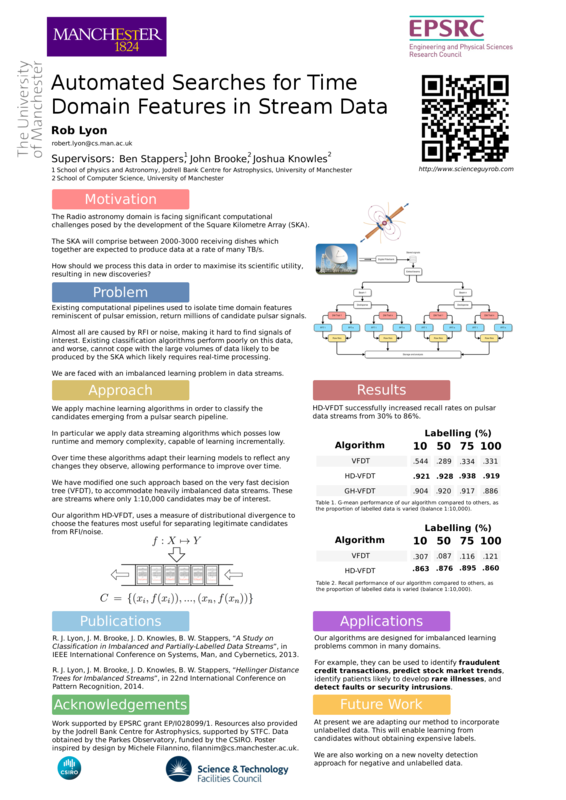 R. J. Lyon, J. M. Brooke, J. D. Knowles, B. W. Stappers, “A Study on Classification in Imbalanced and Partially-Labelled Data Streams”, in Simple and Effective Machine Learning for Big Data, Special Session, IEEE International Conference on Systems, Man, and Cybernetics, SMC 2013. Arxiv Pre-print, DOI: 10.1109/SMC.2013.260. Learning Decision Trees for Un-balanced Data, D. A. Cieslak and N. V. Chawla, in Machine Learning and Knowledge Discovery in Databases (W. Daelemans, B. Goethals, and K. Morik, eds. ), vol. 5211 of LNCS, pp. 241-256, 2008. Much of my code is online and released under an open source license. This is a Jupyter notebook that models SKA Science Data Processor (SDP) data rates & volumes. Diagrams are included that define the conceptual and logical structure of Non-Imaging Processing (NIP) data models. Also, activity diagrams for all NIP pipelines are included. Finally, formulas are presented that provide accurate estimates of NIP pipeline data rates. This is a software pipeline used to generate SKA-like pulsar observations, aka ‘test vectors’. These are used to test SKA algorithms and data processing pipelines. The software pipeline is packaged within a docker container. I’ve also created a web interface which displays the outputs of the test vector generation pipeline. You can find the interface code here. Update: During the Astron Hackathon, upgrades and changes were made to the pipeline. Big thanks to Yan Grange, Sophie Ashcroft, Liam Conner, Wietze Albers, Anne Archibald, and Amruta Jaodand for contributing! For those who are interested, my project pitch slides can be found here. A collection of Docker images useful for pulsar search and data science analysis. 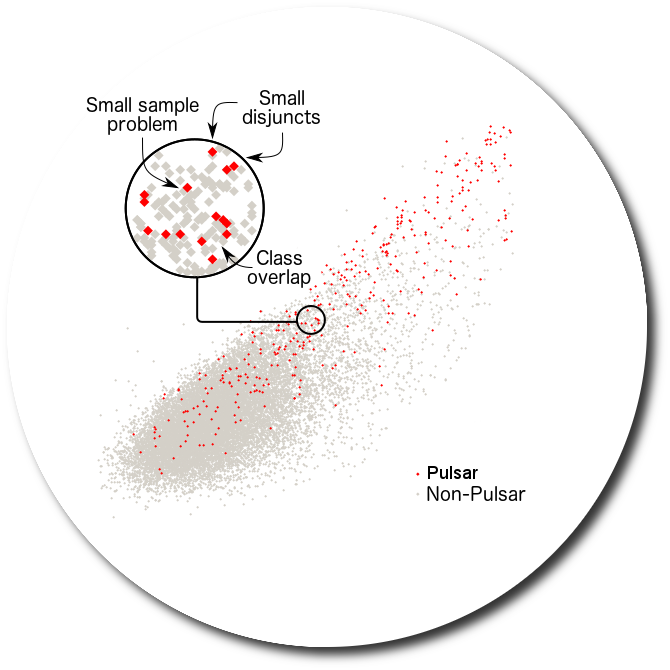 The pulsar feature lab application is a collection of python scripts useful for extracting machine learning features (otherwise known as scores or variables) from pulsar candidate files. The code was written in order to provide a tool-kit useful for designing and extracting new candidate features, whilst retaining the ability to extract existing features developed by the community for comparison. If you use this resource, please cite via the DOI : 10.6084/m9.figshare.1536472.v1 . – Varied levels of class balance in both test and training sets. – Varied levels of labelling in the test data streams. Stuffed is only designed to work on binary classification problems. It can be used to gather statistics on classifier performance, is easily extensible, and can be used with other tools such as MatLab. If you use this resource, please cite via the DOI : 10.6084/m9.figshare.1536471.v1 . An imbalanced data stream classifier, which uses the Hoeffding bound and Hellinger distances, to improve minority class recall. The GH-VFDT utilises a decision tree split criterion, designed to improve minority class recall rates on imbalanced data streams, i.e. those streams where the class distribution is worse than 1:100. This implementation is built upon the Hoeffding Tree provided in MOA, thus a great deal of credit goes to the MOA team for their initial implementation and library. We greatly acknowledge their efforts. If you use this resource, please cite via the DOI : 10.6084/m9.figshare.1536470.v1 . Machine Learning & Science Data Processing @ SKA Delivering the Science, Cambridge, 12-13 April 2016. 50 Years of Candidate Pulsar Selection – What next? @ International Astronomical Union Symposium (IAU) 337, Manchester, 4-8 September 2017. Imbalanced Leanring in Astronomy @ EWASS, 3-6 April 2018. Astron Hackathon @ Astron, 23-24 April 2018. Details of the event here. Time-domain Machine Learning – Opportunities and Challenges for the SKA @ Third ASTERICS-OBELICS Workshop : New paths in data analysis and open data provision in Astronomy and Astroparticle Physics 23rd-26th October 2018, Cambridge, UK. Time-domain Machine Learning – Opportunities and Challenges for the SKA @ AI at SKA and CERN, 17th-18th September 2018, Alan Turing Institute, London, UK. Data processing with the SKA – Machine learning at scale @ University of Southampton Physics Seminar, 20th November 2018. Industry Engagement Day Poster, Thursday 10 July 2014. During my Ph.D I was under the supervision of Dr. John Brooke (Computer Science), Dr. Josh Knowles (Computer Science) and Prof. Ben Stappers (Jodrell Bank Centre for Astrophysics). The algorithms I developed during my PhD have so far helped to find 20 new pulsars in data obtained during the LOFAR Tied-Array All-Sky Survey, aka the LOTAAS survey (see here for more details). The techniques I developed are also being applied to data collected during the GMRT High Resolution southern sky survey (GHRSS), and to High Time Resolution Universe Survey (HTRU) data. During my time as a Ph.D student I was part of the SUPERB project (SUrvey for Pulsars and Extragalactic Radio Bursts) which searched for new pulsars and the more mysterious fast radio bursts (FRB’s). See the SUPERB website for more details. I have expertise in machine learning classification (neural networks, decision trees etc), algorithm design, computational optimization, signal detection, feature extraction & design, big data frameworks (e.g. Apache Strom, Spark), GPU programming, software development (C#, C++, C, Java, Cuda, Python), Docker, automated test, VDI, performance optimisation.